There’s this Polish cheese, oscypek. Trust me when I tell you it’s one of the best cheeses humans have ever come up with. The first time I ever had it was, unsurprisingly, in Poland. My family and I were on a trip to Zakopane, a small town at the base of the Tatra mountains. There was oscypek everywhere. It’s what Zakopane is known for – lots of the souvenirs have smiling anthropomorphic cheeses on them. That was years ago, and when I saw oscypek at the Poland stall at this year’s food festival, to say I was excited would be an understatement. I ate as much as I reasonably could, and texted my dad – who worked the booth – to please save me some for later. Guys, this wasn’t your run-of-the-mill indulgence. I try to avoid dairy most of the time, because of sensitive skin, but at the sight of oscypek I chucked this avoidance out the window. Thank you God for the food festival! Like last year, this year I went with my friends Kelly and Drew (only this time they’re married!) 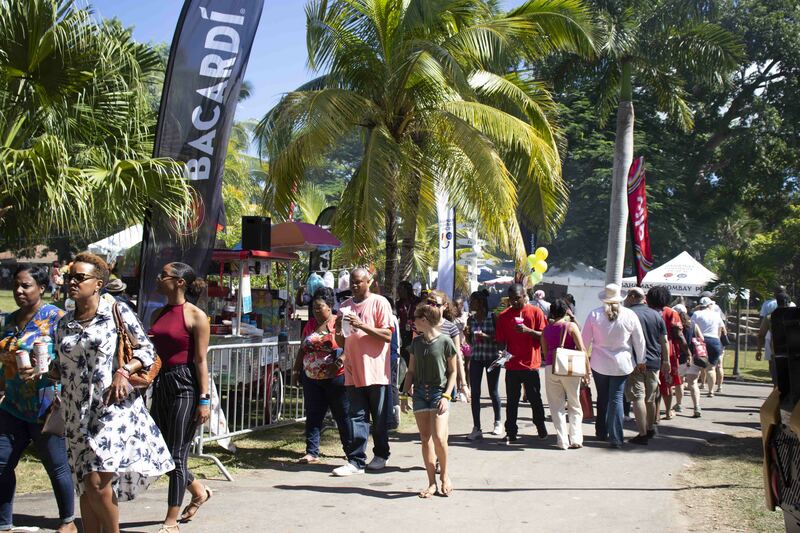 We started out in the Bahamian village, which showcased local food and products. Our first stop was Naturally Bahamian, run by a couple we know from our church, Denise and Paul Worrell. 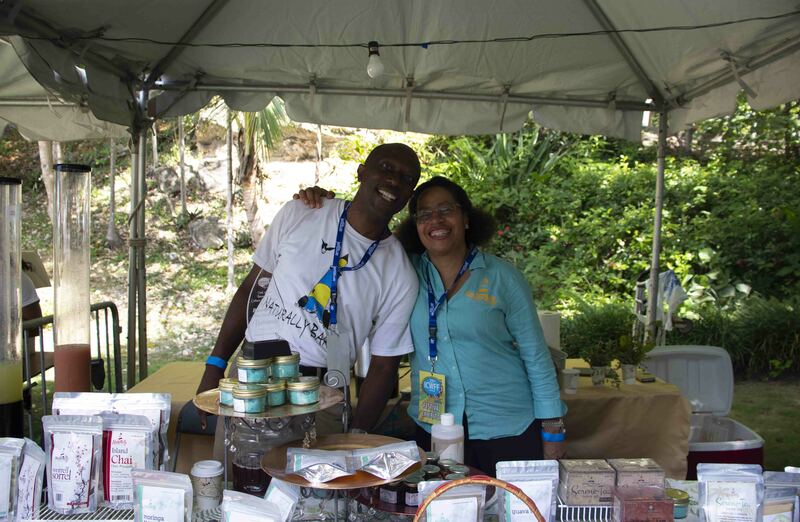 Naturally Bahamian sells products geared toward living a healthier life with native ingredients. 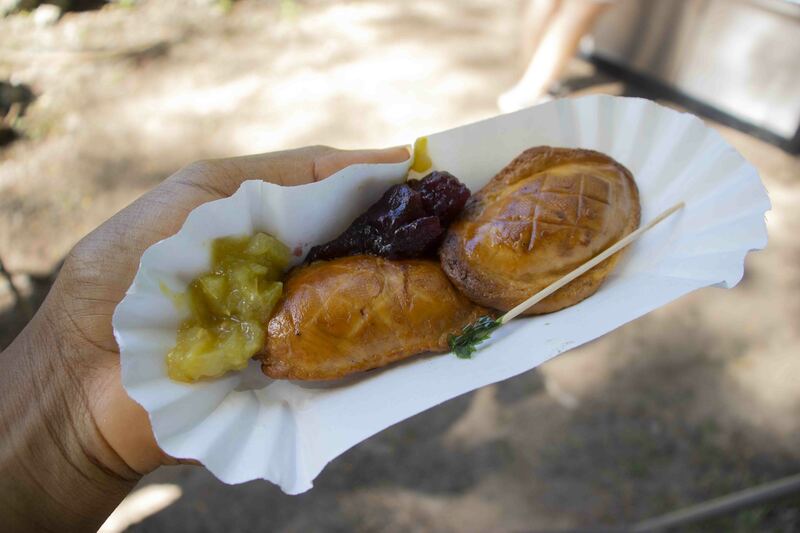 They gave away free hog plums – yum! – and I tried a salt scrub, a just-sweet-enough caramel and dried monk fruit, a sugar replacement. Kelly and I marvelled at how it melts in your mouth, and Denise told us you can sub it 1:1 with granulated sugar. She’s the creative mind behind the Naturally Bahamian line, and her offerings are impressive. 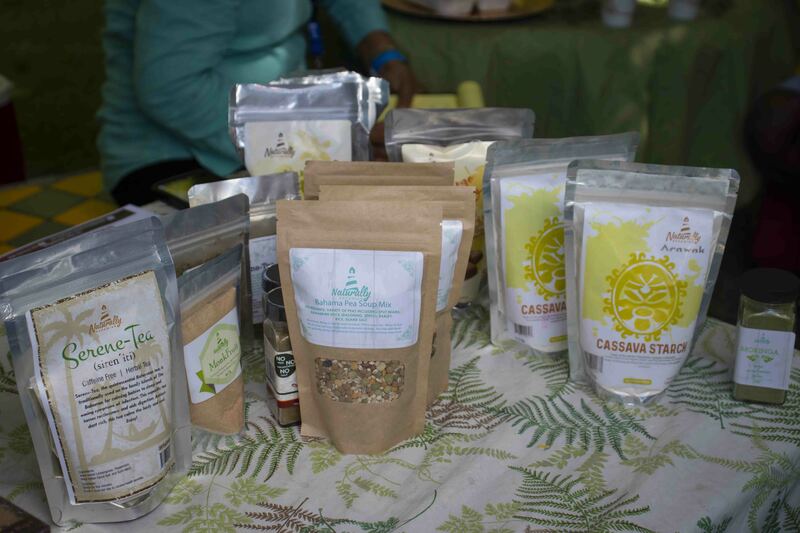 From teas to jams to cassava flour, they’d be great in your kitchen or as gifts. After the Bahamian village comes all the other nations represented in The Bahamas, from Cuba to Australia. Kelly and Drew got gyros from Greece. 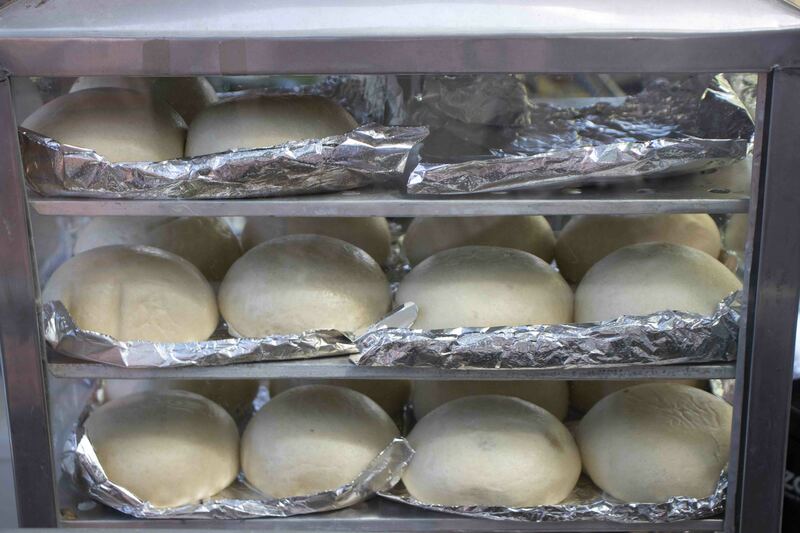 I had the steamed buns from the Philippines I’d been wishing and waiting for since I passed them up last year. We also checked out the offerings at Peru, and each of us left the grounds with one of our favourites: for Kelly, a snow-cone; for me, a sky juice cocktail; and for Drew, pizza. The weather was just right, we smiled and chatted with people we ran into, and overall had a great time. 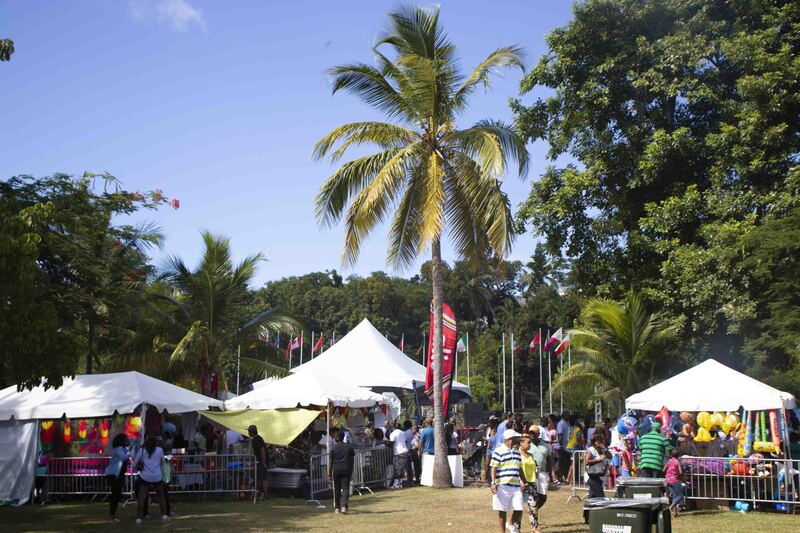 The food fest remains one of the best weekends on Nassau’s event calendar. I have to say though, the oscypek was far and away my favourite bite of the afternoon – never mind the long-awaited steamed buns. And, maybe thanks to its processing, I haven’t felt any negative effects! It’s a salty, smokey cheese of sheep’s milk, firm and chewy in the best way. Shepherds hand-make it in wooden cabins, where it smokes from the rafters in the last stage of preparation. 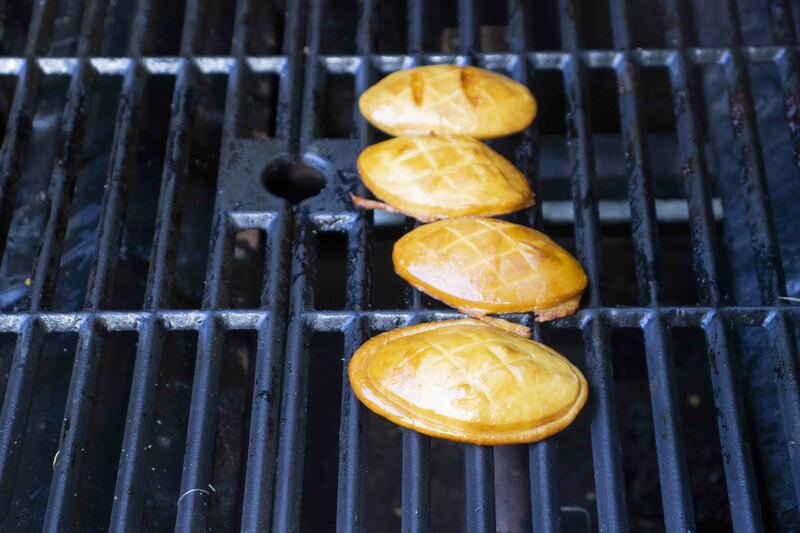 Mine was warm from the grill, dunked in cranberry and sweet tomato jams. I sipped żywiec, a Polish beer, for a refreshing balance. If you went to the food fest this year I’d love to hear what your favourite booth was! And if not, tell me what’s your favourite cheese?